I hope you have enjoyed a wonderful summer! Here at the GC3 we’ve been busier than ever, planning for 2019 (and beyond), while advancing our signature projects. Earlier this month we announced the winners of our Preservatives Challenge. Sponsors and innovators alike found tremendous value in that project, so we are currently strategizing about what future collaborative innovation projects we may lead. As soon as the 13th Annual GC3 Innovators Roundtable wrapped up, we began planning our 14th Annual Roundtable to be hosted by Procter & Gamble Fabric Care, in Cincinnati, Ohio on May 7-9, 2019; we are currently offering a discount for 2019 Roundtable sponsorships. In the past several months we’ve strengthened our internal organization, and we continually seek ways to better serve our membership. Towards that end, in early September we’ll be sending a survey to our members to learn how we can improve services such as our website, membership communications and benefits. We look forward to hearing from you in the near future, as we continue to drive the growth of green chemistry commercialization across all industries, sectors, and supply chains. 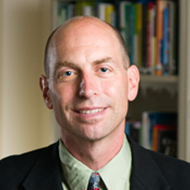 Please vote for the GC3's speaking proposal for the 2019 South by Southwest® Conference, an important forum for global professionals at every level to share ideas and network. This large event reaches thousands of attendees, so it will be an excellent opportunity for the GC3 to advance green chemistry. The event will be held March 8-16 in Austin, TX! The deadline for voting is August 30. Winners will be announced on Oct. 15. 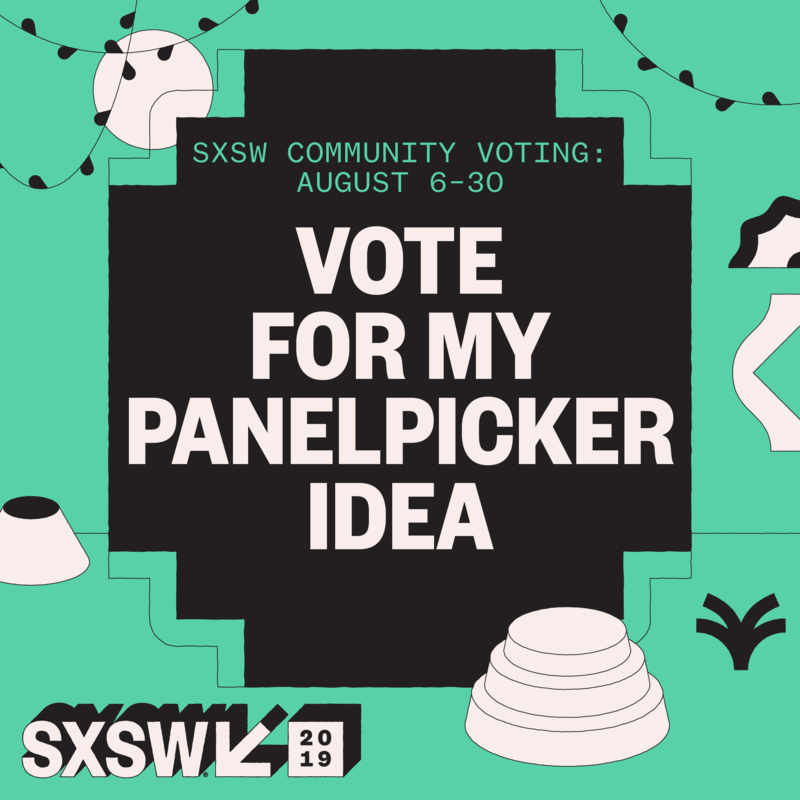 Vote via the SXSW PanelPicker®: http://panelpicker.sxsw.com/vote/88000. The GC3 and InnoCentive are pleased to announce seven winners in the global GC3 Challenge: Developing New Preservatives for Personal Care & Household Products. Launched in April 2017, the challenge aimed to identify and support innovators developing preservative technologies with improved environmental, health and safety profiles for use in cosmetics, personal care and household products. 17 consumer packaged goods (CPG) companies, major retailers and preservative suppliers sponsored the competition, along with the Environmental Defense Fund (EDF) and the Minnesota Pollution Control Agency (MPCA). Find out who won, and what the sponsors said by reading the press release here. The GC3 Sustainable Chemistry Alliance continues its active outreach effort, having connected with over 70 US House and Senate offices in the last few months. The breadth and depth of the business representation has been very well-received on Capitol Hill – we have had five amendments offered to encourage sustainable chemistry elements in active legislation and led the effort to secure a Republican co-sponsor for the just-introduced Sustainable Chemistry R&D Act of 2018. We were the first group listed in the Senators’ press release and quoted in the statements of support. We are now using the bill as the centerpiece for media outreach efforts to build awareness of our work. Finally, we are planning a Sustainable Chemistry Product Expo for GC3SCA members at the end of September on Capitol Hill to help policymakers learn firsthand about the exciting innovation underway in this field. Follow us on Twitter! Want to join us? We are offering a new member special with reduced rates until end of the year with next year’s dues. Please contact Michele Jalbert or Michael Parr for information. 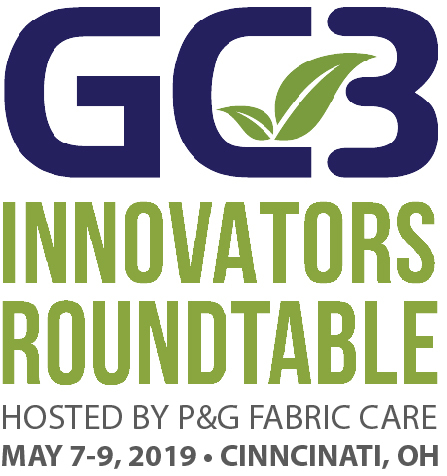 The 14th Annual GC3 Innovators Roundtable is hosted by Procter & Gamble, Fabric Care and will be held May 7-9, 2019 in Cincinnati, Ohio in the corporate meeting space at the Great American Ball Park. GC3 Members and non-members are welcome to attend. Registration will open in the winter of 2019. We are very grateful to Procter & Gamble Fabric Care for hosting our flagship event! Please contact us if you're interested in sponsorship opportunities! Sponsorship offers your company an opportunity to demonstrate its commitment to green chemistry and raise its profile as a leader in sustainability to customers, suppliers and other stakeholders. We're pleased to welcome the following companies as new members of the GC3! If your company is not yet a member, join us today!